Biodegrada-Bowl: Could Your Whopper Grow a Plant? Ever felt guilty about the amount of waste your fast food meal creates? The volume, not to mention the use of Styrofoam, is just another way humans contribute to landfill overload and overall environmental harm. Feel guilty no more with The Disposable Food Bowl. 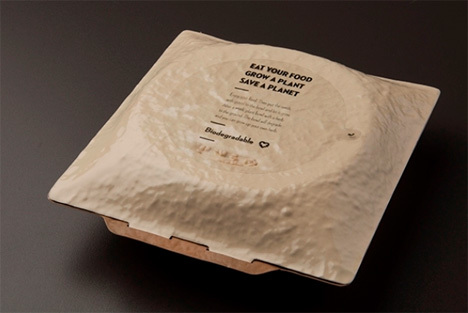 Design student Michal Marko developed a biodegradable take-out box. A student at Tomas Bata University, he essentially made a burger (or sandwich, Chinese food, etc.) 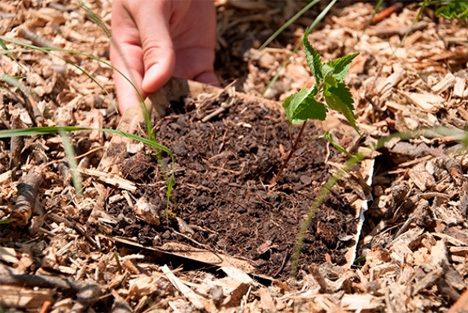 container that can be planted into the ground – literally. Beneath the label on the top of the container are seeds. 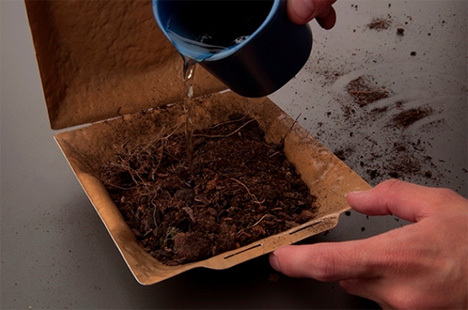 After being implanted in the built-in soil layer, the submerged box dissolves as the plant grows. We hate to get all hippy on you, but if the earth gives you food, isn’t it best to give back to the earth?